In a 2006 New York Times article about crazy celebrity names, magician Penn Jillette said of his daughter, "Moxie is a name that was created by an American for the first national soft drink and then went on to mean chutzpah, and that's nice." He then went on to defend unusual names in general, stating, "It's only the losers named Dave that think having an unusual name is bad, and who cares what they think. They're named Dave." 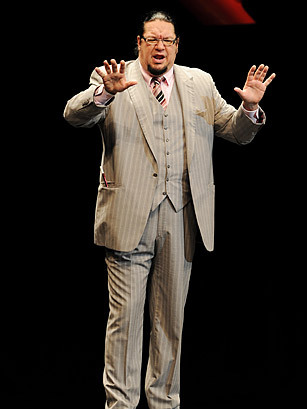 And that's why Penn Jillette is awesome.